Habit: multiple trunked, loosely branched, erect shrub that tends to grow both in height and in width, giving it a rounded shape. 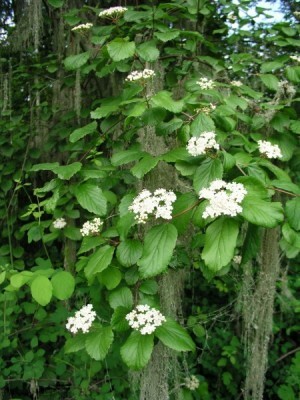 Western viburnum has hairy stalks with coarsely toothed oval to almost round leaves that are dark green and glabrous above, lighter green and covered with short stiff hairs below. Large clusters of small white flowers, 1-2 inches across, bloom from late spring to early summer. Clustered fruits are orangish-red, elliptical in shape and turn shiny black in fall. Leaves change to a beautiful red in fall. Ecology: in thickets and open woods at low to mid elevations, 980-4500 ft (300-1400m). 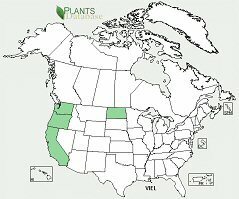 Growing Conditions: prefers dry sunny sites; full sun to part shade, can tolerate dappled shade and moist soil. This is a very showy shrub that attracts many pollinators. 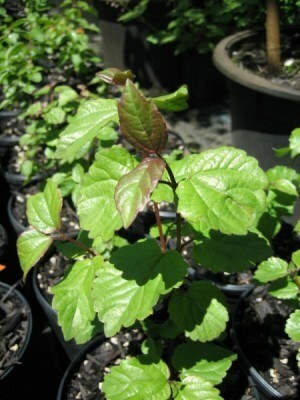 Viburnum ellipticum is also drought tolerant and great for restoration sites without much moisture.